nitrocaster wrote: A reasonable way to go is to replace the PMH. Which CPU do you have on your board: i5 or i7? Indeed, replacing the PMH would be less wasteful. The CPU is an i5-2520M. I wonder, can such a factory-mounted component be replaced using nothing but a modest soldering iron? You can carefully cut each terminal and remove the chip itself, leaving the stumps soldered to the pads. Then use a blob of leaded solder to remove the stumps, clean the pads with a wick, cover them with flux, place new PMH and solder any two opposite pins while holding the chip flat on the board. Next, solder the rest of pins, clear the junk with alcohol and you're all set. Last edited by nitrocaster on Thu Jan 05, 2017 3:50 pm, edited 1 time in total. PMH replacement sounds doable with that technique. Now just need to find a working PMH and a replacement for F1 fuse. I very much appreciate the effort you (and others) put into diagnosing the consequence of my mistake. Learned quite a lot. Thank you. Excuse my dumb question, but what is PMH/PHM? vade wrote: PMH replacement sounds doable with that technique. Now just need to find a working PMH and a replacement for F1 fuse. You can buy both on eBay or AliExpress. If you were using X230, I could send you a replacement PMH (bought 6 of them during diagnosing my dead X230 board). RealBlackStuff wrote: Excuse my dumb question, but what is PMH/PHM? 'PHM' was a typo. PMH = Power Management Hub or so called 'Think Engine', which drives power mosfets, monitors voltages and temperatures. nitrocaster wrote: You can buy both on eBay or AliExpress. Shopping for parts now. X220 schematic says the PMH is a BU77700KVT-GP. However, I looked at the chip and it says only BU77700KVT without the -GP suffix. Is it relevant? 'GP' is just some generic siffux used in their part library, ignore it. At least you guys can learn from other's mistakes while waiting, decreasing the chance of winning the fried motherboard lottery. Very nicely packed, good job! Now I need to practice soldering on guinea-pig stuff I have around before messing up any board! I can get LQ133M1JW03 on taobao for 350 RMB plus shipping. The eDP connector is located on the right side of the panel. Is Your eDP cable long enough to reach the connector on the panel? The connector has to be located on the left side. Otherwise the cable would not be long enough. nitrocaster wrote: The connector has to be located on the left side. Otherwise the cable would not be long enough. Ok, so now we need a side switcher flat ribbon (I can only find 40 pins), an extension or a new longer cable. Tracking says I'll get the screen today, I'll start test fitting tonight. I did some cutting tests yesterday on an old T61 bezel with my desktop mill (Shapeoko 2) and it looks quite nice. I might be willing to cut some for people if needed. 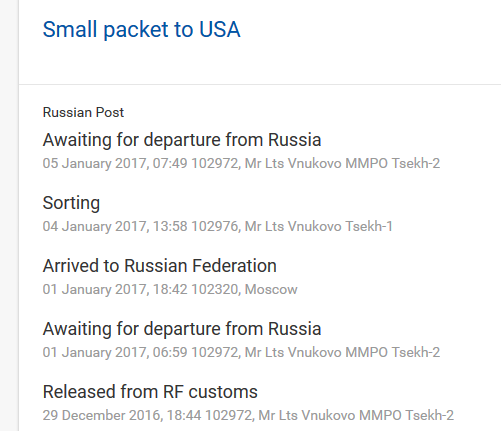 I won't be able to test the screen though, my mod kit is awaiting departure from Russia since Dec 30... They now offer me to send a search request for lost mail ! from win0win's AliExpress shop. Cheaper then eBay . Has anyone experience with this Paint-Instead-of-Solder-Thingy? I have. It contracts very much after curing and does not fill plated through holes, so the adapter board would fall off easily. One could use it for attaching the sense wire though. But if you can solder PTHs, why not solder the sense wire as well? Yeah, I was worried about filling the holes. Smradek wrote: ordered two LG LP125WF2-SPB4 from win0win's AliExpress shop. Cheaper then eBay . I couldn't find win0win on AliExpress. A link would be helpful. I was searching for LP125WF2-SPB4 on Taobao and found the Taobao seller win0win. Asked for the price for LP125WF2-SPB4 the seller gave this link and confirmed it is his AliExpress shop. Nice. Let's wait until you get your panels and see if they are really good. So, yeah... the LQ133M1JW03 is wider than casing, no fit. boutch55555 wrote: the LQ133M1JW03 is wider than casing, no fit. it is part of the X330. To make it fit, you have to adapt the casing big time. If you want one of the best 13'' panels around in a 12'' machine, go this way. But keep in mind, the eDP-connector of the LQ133 is on the 'wrong' side, so you'd need a longer eDP cable. x3o2 wrote: To make it fit, you have to adapt the casing big time. If you want one of the best 13'' panels around in a 12'' machine, go this way. No, I mean the screen is 0.5 - 1mm wider than the exterior of the casing. It just can't physically fit. boutch55555 wrote: No, I mean the screen is 0.5 - 1mm wider than the exterior of the casing. It just can't physically fit. You seem to get it now. They remove the frame from the LCD.